The proportion of women studying economics at university in the UK is falling – down from around 30% in the 2000s to just 26% today according to Cambridge University Lecturer, Victoria Bateman. Role models: where are the women economists? Perhaps one of the factors is that there just aren’t enough prominent female role models in our profession? 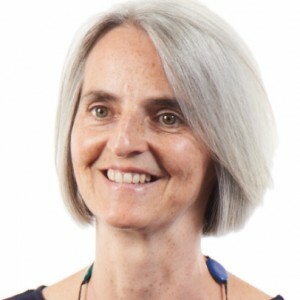 Here at CE we are keen to highlight our women economists and today we celebrate International Women’s Day by focusing on our Director, Rachel Beaven. Indeed, Rachel currently has a vacancy within her team for an experienced Project Manager and we encourage applications from all underrepresented groups – find out more here. What inspired you to become an economist? I like maths, and I’m interested in society, so I decided to study economics at A level to better understand how the world works. I had two particularly enthusiastic and inspirational teachers: Amanda Dutton-Taylor (economics); and Gill Hunter (maths) who was very pleased to hear that I went on to use the matrix algebra that she taught me. It was applied rather that theoretical economics that interested me, so I chose a degree in Economics with Econometrics. What happens in a typical day – what does your job involve? There’ll be meetings and calls, for example, to catch up with my team in Brussels, to discuss project progress with collaborators and clients, or to assess our resource requirements and agree our recruitment plans. As a Director of our employment and skills projects, I might be reviewing results of our economic analysis (e.g. European skills forecasts), editing one of our reports (e.g. assessing the potential impacts of Industry 4.0 on skills), or negotiating with a collaborator the terms for a proposed new project. I enjoy working with talented and enthusiastic colleagues. I like developing quantitative analysis and tools, working out how to make best use of the available data to answer the research questions. Tell us about a project you’re working on at the moment. Much of my research is about skills anticipation – that is, the use of labour market and skills intelligence (LMSI) to predict and develop policy responses to future skills needs (e.g. to inform education and training policy). We are part of the team currently supporting Cedefop’s (the European Centre for the Development of Vocational Training) in-depth reviews of the governance of skills anticipation and matching in selected countries. CE’s role is to develop an online database of example policy instruments, to highlight innovative and transferable initiatives that provide new insights and/or policy directions for decision-makers to consider as part of their own efforts to improve the governance of skills anticipation and matching in their country. CE has a long track record of producing LMSI; in this project we are learning more about how it is used to inform successful policy. Of which piece of work are you most proud? I’m proud of my overall achievements at CE: establishing my own credentials as a researcher in the field of employment and skills; progressing from placement student to being invited to join the Board of Directors; and helping to develop the skills and careers of our staff. What advice would you give to someone looking at economics as a career? Get some relevant work experience to find out what economists really do, to work out which aspects you enjoy (or don’t), and to add to your CV. For a career in applied economics, early in your career keep your options open by developing a range of skills. Maths and an aptitude for using programming languages are important for logical thinking and data analysis. Writing is an essential skill, to draw out and communicate insights from economic analysis. And don’t forget creativity, and social skills (e.g. negotiation and social perceptiveness) – skills that are less likely to be automated! What’s the best thing about working in Cambridge? Cambridge is a great place to live and work because it’s very cosmopolitan and liberal. One of the best things is being able to commute by cycle – good for body and mind, and quicker than driving. We are recruiting for a Project Manager to join my team – see here for more details.